Today's outfit is all about simplicity and vibrant colors that make the look! Flowy tops, beautful pops of color and perfect fitting jeans are awesome for transitioning from spring to summer as I feature in my most recent Gwynnie Bee lookbook! Just wanted to stop by with a little inspo and wish you a happy Memorial Day weekend loves! I hope your holiday is filled with plenty of fun, plenty of food and fond memories of our veterans who have and still protect us daily. There are plenty of dresses that I like, that I may even love. But there are only a handful of dresses that I am actually “in love” with. Meaning, I would pretty much wear it if every day if I could lol. Seriously…flowy, free and colorful? I am all here for that! I know it's been a while since I posted an actual blog post. Apologies yall! Sometimes I'm moving so fast I don't have enough time to post a look and write bout it. But I promise to get better! OOTD posts still go up on my Instagram, so make sure that you are following me there so that you don't miss out on new looks! So, I had to share with you my recent feature on Essence.com! First of all...how awesome is this??! 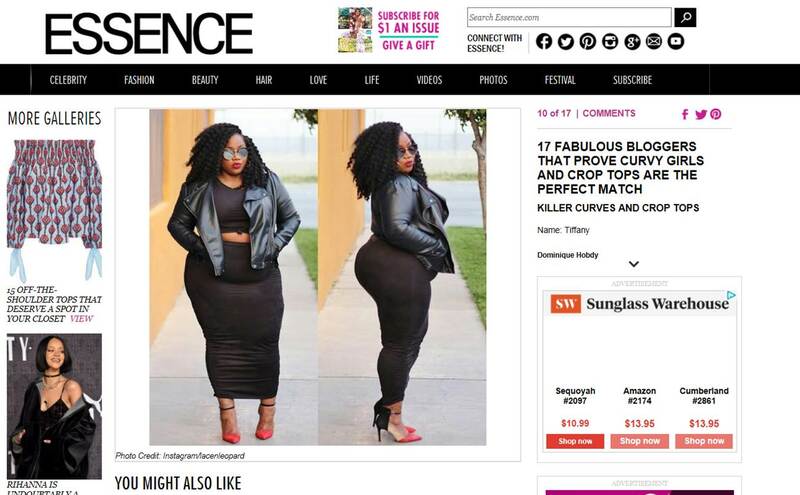 I grew up reading Essence and never thought in a million years that I would be recognized for my fashion! Sometimes its hard to keep going and be consistent. But keep it up because you never know who is watching. God is truly ah-mazing! This article is about "bloggers who prove that curvy girls and crop tops are a perfect match". Which they are! I love that women all around the world are starting to embrace themselves and take more risks when it comes to fashion. 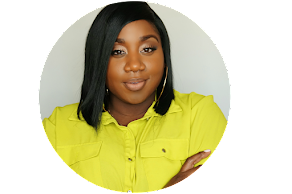 Honestly, the best part about blogging to me is inspiring women to feel good about themselves and show them that they don't have to be a certain weight to show up and show out! Sometimes jeans and a tee just does the job! Let’s face it, trying to put together the perfect outfit can be convoluted, fussy and outright frustrating. A nice pair of jeans and a simple top with the right accessories can bring together the perfect outfit more than you may have thought. Shape shifter bags as Elle calls it, are amongst the “48 Best Spring Bags to Buy” this season. They are fun, spunky and for sure attention-getters << totally not a word lol. Who says a big girl can’t wear stripes?? Vertical, horizontal, diagonal who cares?! One of spring’s biggest trends is right up my alley because its clean, easy and gives a preppy-nautical look that I love. As seen on the runway of Missoni and Tommy Hilfiger, you could easily dress the trend down with a cute pair of converse or flats or dress it up, a little, with a nice pair of chunky heels or wedges. *UPDATE: I had the wrong link before, links should be updated now for the dress and it is in stock. Sorry! Hello loves! Late night post coming at ya! ;) So, let's talk trends. Stripes and cobalt blue are must-have items this season and today's look has them both. This skirt set from Fierce N kurvee Boutique is super comfy, fits like a glove and is super fun and youthful. You can wear it as a crop set or tucked into eachother, as I did, for a dress look. I paired the set with frayed jean heels and a fringe crossbody bag and blue aviators. Whatever way you choose to rock it, crop set or dress, you are sure to fall in love!